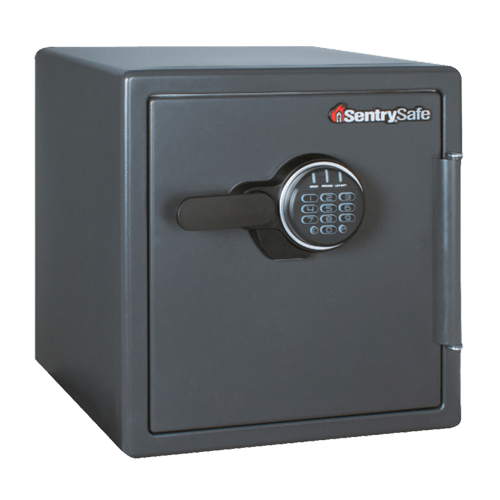 SF123ES Digital Fire Safe is rated 4.8 out of 5 by 12. 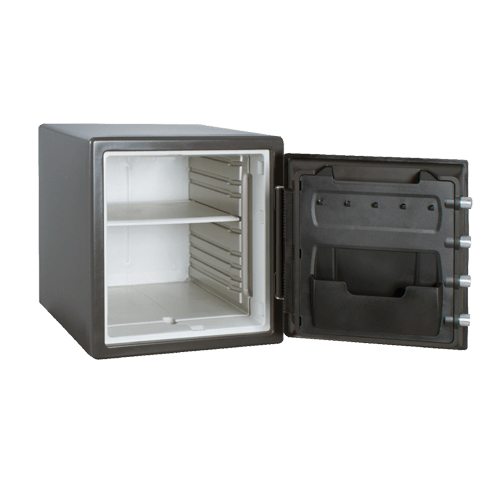 The Digital Fire Safe SF123ES is UL Classified to protect your valuables from fire damage for up to 1 hour at 1700º F. For added security, this safe also offers 60% bigger bolts than traditional safes and a pry-resistant door hinge. 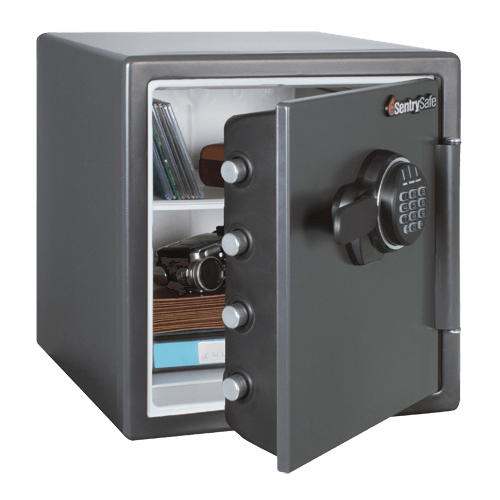 Rated 5 out of 5 by Thumbs from Strong & Secure Safe w/ Fire Protection Offers great protection, reasonable interior size, mountable to floor. Rated 5 out of 5 by Kono from Well constructed, spacious and easy to use Was hesitant to purchase with publicity on You Tube on how to open safe using a strong magnet. Did so anyhow and super pleased on how sturdy, well constructed and heavy the safe is. Digital pad is the only way to go and battery compartment in front is a plus as you don't have to mess with having a backup key. 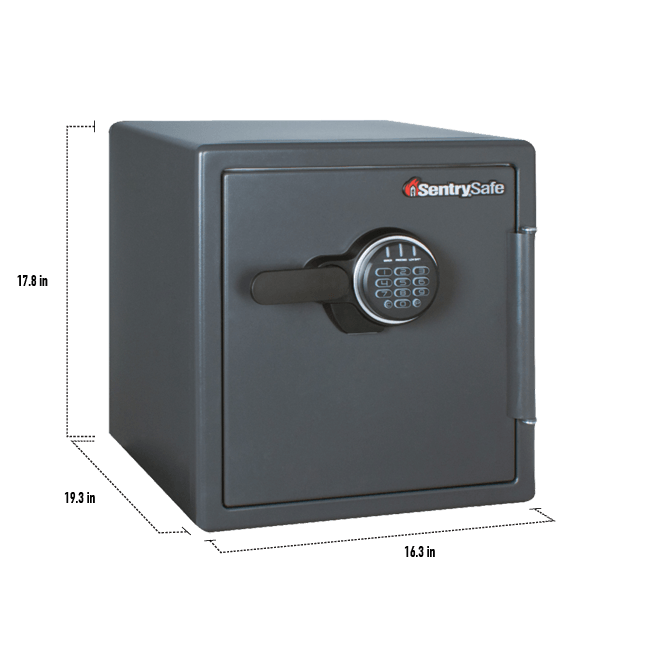 Rated 5 out of 5 by Dan P from Good for Our Needs We recently purchased this safe, and it has been easy to open and close. It is a food size to store our valuables and documents. We did not bolt it down, but a strong person (or a couple) would be required to steal the 90-pound safe. Rated 5 out of 5 by Dennis21 from Perfect for my needs Came in great shape, well packaged. Install batteries and it was good to go. Instructions made it a snap to program my 2 alternate combinations. Works flawlessly. Would buy a bigger one if need arises. Rated 4 out of 5 by Safe1 from Looks good, heavy, well made. Should do the trick Safe is large, heavy and well made. I like the led lights inside the door. The handle is a little on the cheap side. Other than that, it is great. Rated 5 out of 5 by Sammy Hanley from Safe seems to be secure for important documents It is a good size and weight. The combination and lock mechanism seems very secure. Rated 5 out of 5 by Dave10 from Easy to use and secure Put in the batteries and programmed my code and everything works great.